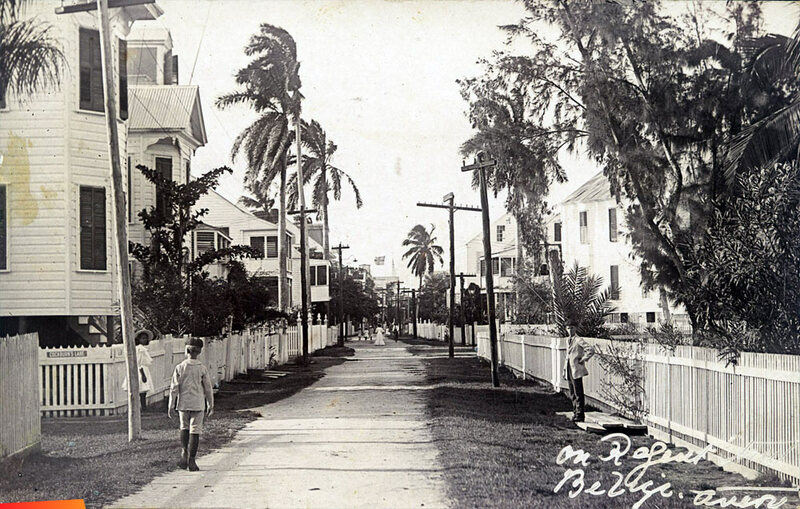 This is Regent Street from in front of Old Governor's Residence towards the Supreme Court. The building on the left was Mr. Claude Bradley's residence. Still on the left second palm tree is where the Shaw Hotel is and across the Street is where Continental Airlines had their Offices. As for the year of the photo, this scene was still there before Hurricane Hattie in 1961. Most of it was destroyed by the Hurricane.